Mix together 1 cup warm water and Maddie Rae's Slime Glue in a bowl. Stir in the paint and food coloring. Add more food coloring to your slime as you mix to achieve the perfect green shade! Where Do I Buy Glow-in-the-dark Paint? Check out the paint section at your local craft store! 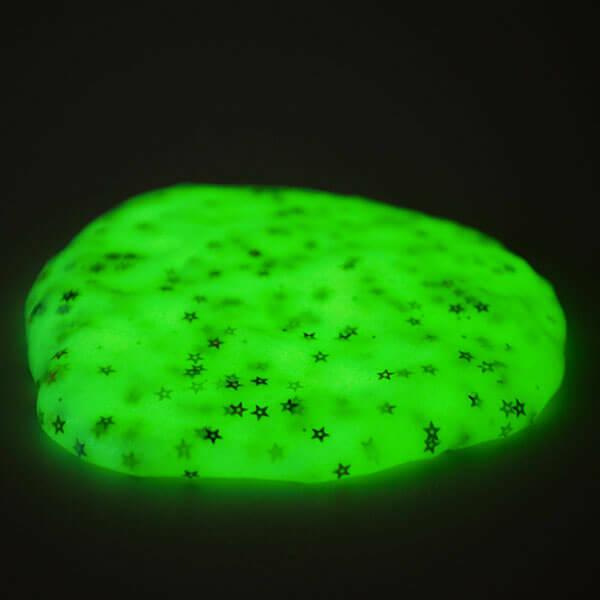 Why Isn't My Slime Glowing Brightly in the Dark? 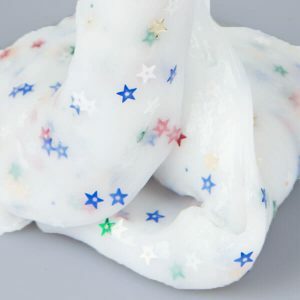 Glow-in-the-dark slime is kind of like a battery: it needs to be "charged" to work! Ask an adult to hold your slime close to a lit lightbulb for a few minutes. After, when you turn off the lights, it should glow a lot. Repeat this whenever you need to!